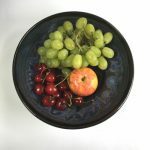 My North London studio is a sure-fire solution for all those interested in learning how to craft beautiful ceramics. 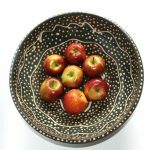 For your convenience, I offer daytime, evening and weekend ceramics classes and pottery classes for adults, from complete beginners to those more experienced in working with clay. 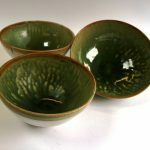 Whether your passion is for throwing or hand-building, my studio has all the equipment you need and is even set up for traditional Japanese Raku firing. If you’re looking for a challenge, the space is also available for team building exercises as well as private hire and events. At least twice a year, I host open studio sales and examples of my own work are always available to purchase. To get regular updates about the classes and workshops I offer, when I have sale days or late availability for my courses please subscribe below. 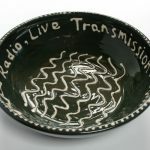 Here are some of the ceramics and pottery pieces I have made that are for sale. You can see more by following the link. Team events, Group sessions, Individual tuition. I have been attending throwing classes with Ricky Grimes for 1 1/2 years and they are both stimulating and great fun. Ricky has a sharp sense of humour, is enthusiastic with his talents, and patient with we poor souls. I have certainly gained in confidence with his guidance. Tuesday afternoons at Ricky's studio are my favourite time of the week. It's my chance to be messy and experimental, a frame of mind that Ricky actively encourages. His teaching style hits the right balance of stepping in to help when I ask for it, and then stepping back to let me get on with it in my own way. I have learned so much by being encouraged to 'try it and see'. The other people in the group are incredibly encouraging and helpful, and there is a spirit of sharing information and knowledge which I really value. I'd mess about with clay in Ricky's studio every day if I could.